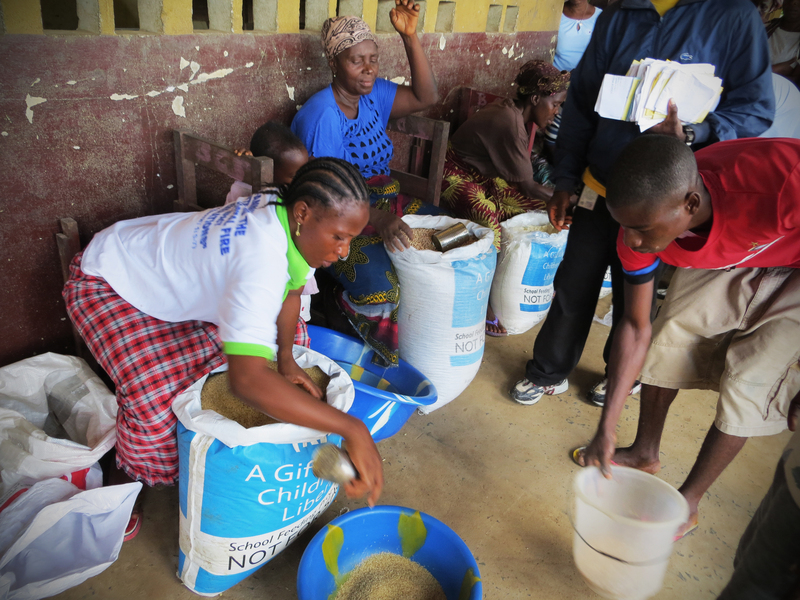 Mary’s Meals is working closely with communities across the world. It is a charity which was launched in Argyll to tackle hunger among children. And today, Mary’s Meals launches a new campaign, Double The Love, which will see the UK government match public donations to the organisation until the start of March. The funding means public donations will be doubled by the UK government, up to £2 million, enabling Mary’s Meals to help thousands more seriously malnourished children in Zambia with life-changing food every school day. The campaign was officially announced in Dalmally, Argyll, where the global work of Mary’s Meals originally began. “Our wonderful supporters of all ages never cease to amaze us with their love and kindness. Zambia suffers from high rates of malnutrition, poverty and food insecurity. Children can often be found working in fields, begging on street corners or scavenging for food just to survive. More than 360,000 primary school-age children are out of school, and those who do attend are often so hungry they don’t have the energy to concentrate and learn in class. Yet, by providing one good meal every day in school, Mary’s Meals has attracted impoverished children to the classroom where they can gain a vital education. Around the world, the charity is reaching 1,361,586 impoverished children in 17 countries, giving them the energy and opportunity to gain an education that can one day be their ladder out of poverty. A donation of just £13.90 will feed a child for a whole school year. During Double The Love, that same donation, when matched by the UK government, will feed two hungry children for a year. International Development Secretary Penny Mordaunt said yesterday: “Every time the British public reach into their pockets and donate to a UK Aid Match charity their generosity directly changes the lives of some of the world’s most vulnerable people. “In Zambia, many children do not attend school. Instead they work in the fields, beg on street corners and scavenge for food. “The UK government is committed to ensuring that every child across the world receives 12 years of quality education. “That is why we are so proud to support Mary’s Meals through UK Aid Match. The ‘Double the Love’ campaign will ensure that Zambian children are given a nutritious school-meal every day.